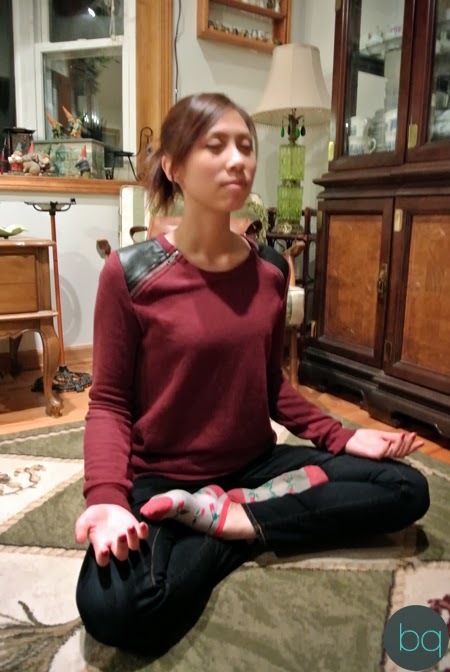 This week, we've been focusing on meditating. 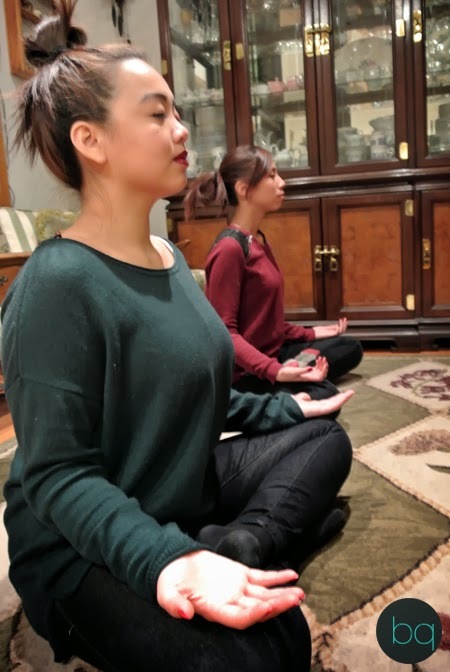 Keep in mind that this was our first time trying to meditate. We tried meditating together the very first day; the rest of the days we did on our own. 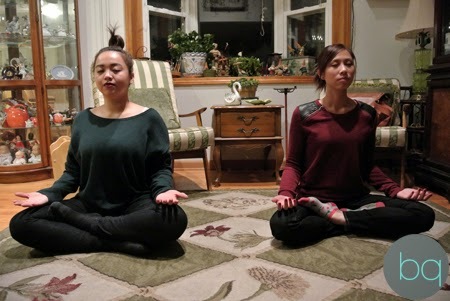 It took us a while to get settled, but we managed to sit in the lotus position for 5 minutes. D was great about sitting quietly and focusing on her breathing. It was hard at first; she had mentioned that some of the things she had to do started creeping up and wanted to get into her relaxing brain. I, on the other hand, was not so successful when it came to sitting quietly with my eyes closed when I first started. My mind kept wandering and I kept on bursting out into laughter. I was so at peace that I thought I might fall asleep, and thinking about that made me laugh. We started over, but the relaxing sound of a waterfall made me want to go to the bathroom and I began to laugh again. Finally, when I thought I had it all under control, I just had the urge to laugh again. I tried to hold it in, but thinking about the funny faces I must have been making to hold in my laughter got me laughing out loud. Eventually, I did manage to make it through 5 minutes without any outbursts. 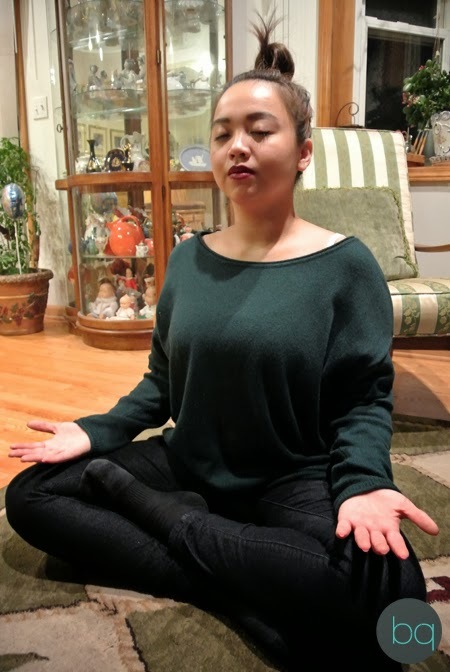 Although meditating didn't relieve me of stress the way I thought it would, I did get some good laughs in which made me feel stress-free in the end anyway. This week, we'll be talking about acupuncture. Acupuncture is "the ancient Chinese medical practice of inserting fine needles into pressure points." It has been linked to relief from chronic conditions such as persistent headaches, lower back pain, and even depression. There are a lot of different ways to do acupuncture. There is a method called acupressure where the acupuncturist uses his or her thumbs and palms instead of needles to put pressure on certain parts of your body. There's also a method of using hot stones and herbs in replacement of the needles. It really depends what you're comfortable with and what your acupuncturist feels is best for you.